GB MediaMMA has taken the time to put together a great compilation of all the times Conor McGregor antagonised Aldo over the months. 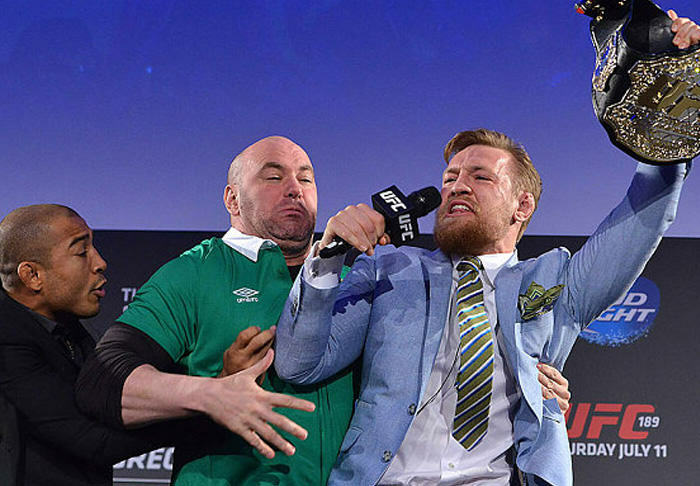 UFC 194 and the main event between McGregor and Aldo had quite the build up. It’s easy to forget about it now the fight is done and dusted, but there were some absolute classic moments. McGregor put a lot energy into stirring up Jose Aldo. He put on a great show before, during, and after the match. After seeing such an intense compilation you do have to wonder if Jose was in fact rattled, even in the slightest. McGregor has been really respectful since winning the fight, but that lead up was intense stuff.